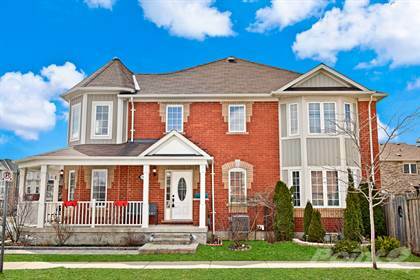 Gorgeous ENERGY STAR certified Mattamy End Unit 1717 sqft + finished basement ! Welcome to the heart of this home with a large kitchen with gleaming granite counters, natural stone surround cozy fireplace, smooth hardwood floors opening to a spacious landscaped backyard. The addition of a separate dining room makes this home perfect for cozy family evenings and entertaining! Three spacious bedrooms upstairs with a big loft and lots of natural sunshine flowing through the space! Plus 2 full washrooms and upstairs laundry! Basement is newly finished to taste with a bedroom, rec room and full washroom! There's lots more that this home offers! Book your private viewing of this beautiful home today to check it out before anyone else! Call 647-208-6364 to book your private viewing today! Hi, I'd like to find out more information about 211 Prosser Circle. Thanks so much!